According to WebRoot's announcement, they decided to replace Spy Sweeper with SecureAnywhere AntiVirus. This program was filled with Spy Sweeper's 'Protection against spyware threats' and many other features. Those who decided to choose this antivirus will be capable of finding such advanced capabilities, as 'Identity Shield' that will protect their personal information, identification of unsafe links, updates without reboots, flexible subscription, etc. If you have already been using Spy Sweeper, you will be capable to add your remaining subscription time to your new subscription. Spy Sweeper is a powerful and effective spyware remover that is designed for home PC users. This program belongs to Webroot – a well-known player among security software makers that is famous for a wide range of threat detection products dedicated for home users, businesses and enterprises. Just like all Webroot's products, this antivirus uses unique, patent-pending parasite detection and removal technologies that help for it not only to fight against spyware, adware pests and other viral parasites, including dangerous trojans and even stealth rootkits. It can also find and remove emerging threats that haven't been discovered yet. 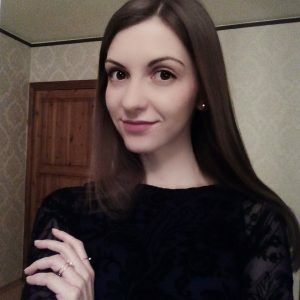 Furthermore, no matter if you select Spy Sweeper free or Spy Sweeper paid version, you will be capable of protecting your computer from malicious software and will also get ability to prevent its unnoticeable infiltration. However, you should note that its free version of this program will expire after 14 days. After testing Spy Sweeper scanner on several of our computers, we found that this program thoroughly checks the Windows registry, running processes, web browser cookies and the entire file system. It implements unique techniques in order to get ability to detect unknown threats. Surprisingly enough, we found that Spy Sweeper scan checks inside compressed files, System Restore folder and certain system components that rival products never check. The program uses an extensive, regularly updated spyware definitions database that currently contains over 145,000 malware signatures. The application performs deep system scan by default. This scan mode is the most thorough, so it involves scanning for rootkits and searching for malware inside compressed files requires more than one hour to complete. Despite all the time it takes, this mode does not need a lot of system resources.. It usually takes 10-15 minutes to complete. If the user does not want to run a full scan, he or she can set the program to check only those folders where threats are known to reside. Such mode usually saves up to 5-6 minutes and can help you fix PC with Spy Sweeper faster. We have also been capable of testing additional options of this program, such as “Identity Shield” that is supposed to protect people's personal information, identification of unsafe links, etc. Everything works as promised, so you can be sure that these options will help you to prevent the loss of your personal information and make your browsing safer. However, sometimes this program may cause system slow downs. SO, WHY SHOULD I DOWNLOAD SPY SWEEPER? Spy Sweeper is a trustworthy antivirus that implements effective real-time protection for helping people to prevent infiltration of cyber threats. 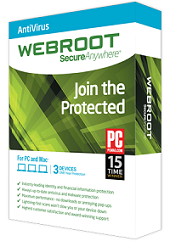 Some time ago, Webroot decided to include this program to SecureAnywhere AntiVirus and make it one of its features. No matter which version you select, you will be capable of terminating harmful processes, preventing unsolicited software and parasites from being installed or loaded automatically on system startup, blocking access to malicious web sites and protecting essential web browser and system settings. The program's interface is clean, intuitive and user-friendly. The official web site is www.webroot.com. Purchases are made via secure connection. Learn how to use effectively Spy Sweeper by reading Spy Sweeper tutorial. Spy Sweeper is recommended by various reputable sources like: PC Magazine, PC World, The Wall Street Journal, CNET Download.com, PC PRO, Micro Mart and the others. This entry was posted on 2014-12-12 at 02:51 and is filed under Anti-Spyware, Software.